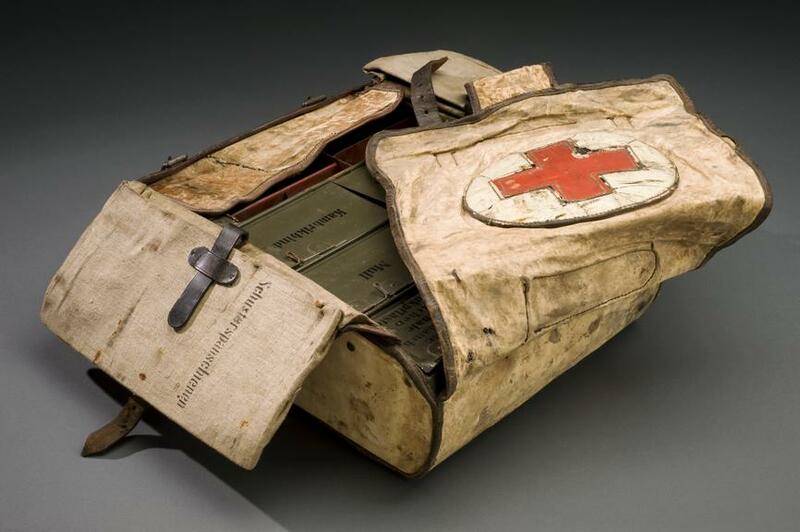 This first aid case was made for use by the German Army during the First World War. 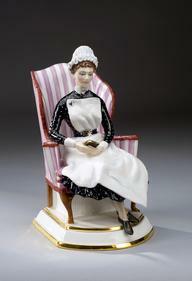 The case is wrapped in a leather covering and inside are a series of compartments for bandages, plasters, cotton wool and other first aid equipment, all labelled in German. The case is marked with a red cross, an internationally recognised symbol for emergency medical care.